The Basset & Gold Foundation was established so that we could give something back to the communities in which we operate. So when we learned about the Sky Ocean Rescue initiative, it seemed like the perfect opportunity to join forces, pay a local school a visit, and change some young lives in the process, if only for an afternoon. Sky Ocean Rescue was launched on 24 January 2017 in a bid to highlight issues affecting ocean health, discover innovative solutions to problems associated with ocean plastics, and inspire people to make small changes that will lead to a huge difference in the future. One of the ways that Sky Ocean Rescue deliver their important message is to encourage schools across the UK to approach the topics raised in a creative and inspired manner. 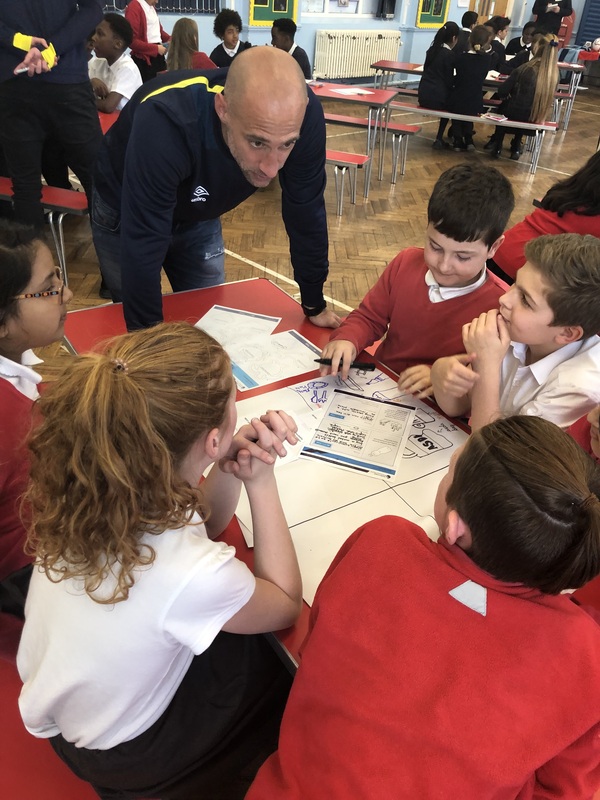 Towards the end of March, we arranged for a team from Sky Ocean Rescue, Premier League Communities, and the West Ham Foundation to deliver a session at Grafton Primary School in Islington, London. There are more than 900 pupils at the school, with a total of 41 different languages spoken, and around 60 pupils were in attendance. 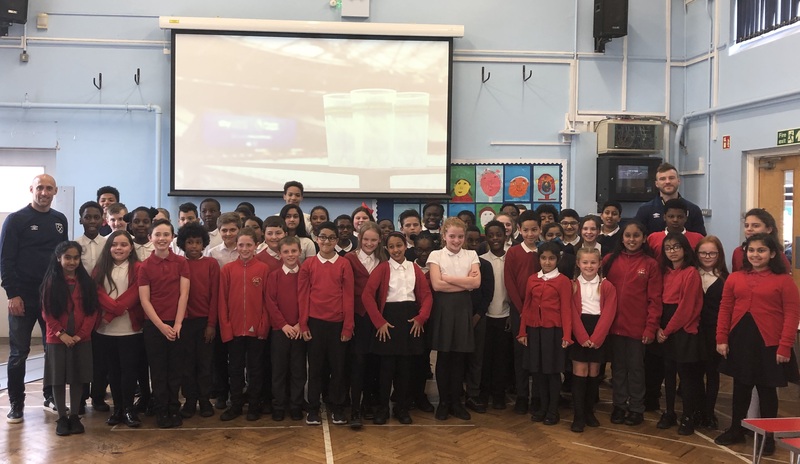 There were a range of activities for the pupils to participate in, as they split into groups to talk about the importance of preserving the world’s oceans. Sky Ocean Rescue has created its own campaign, using the hashtag #PassOnPlastic to encourage people to consider how their actions can have an impact on the wider environment. Through sessions like the one delivered at Grafton primary School, it is hoped the next generation will be inspired to make a real difference. We spent our time sitting with the pupils to learn more about what they were doing and took time to talk to some of the staff too. The headteacher, Mr Nicholson, has supported West Ham since he was a boy and was delighted with the way the afternoon went. We were particularly impressed with the pupil’s behaviour - they were impeccable from beginning to end. However, the best was yet to come, as we had arranged for two West Ham United footballers, Andriy Yarmolenko and Pablo Zabaleta, to make a surprise appearance. They entered the hall to gasps and cheers, before introducing themselves to the children. Pablo Zabaleta asked them whether they were all West Ham fans - many were, but there were some Arsenal and Tottenham fans, and even a few Manchester United supporters. The players posed for photos with the pupils (and some of the teachers! ), before saying their goodbyes and leaving for the day. It was wonderful to see these Premier League players taking time out of their day to inspire the next generation to look after the oceans in the future, and a splendid time was had by all. The Basset & Gold Foundation takes its corporate social responsibility very seriously, but it is easy to do so with afternoons like the one detailed above. It was an honour for us to make this afternoon possible and see the Sky Ocean Rescue initiative up close. We’d like to thank all of those involved, particularly the pupils - all of whom were exemplary throughout. To learn more about Sky Ocean Rescue, please visit their website. 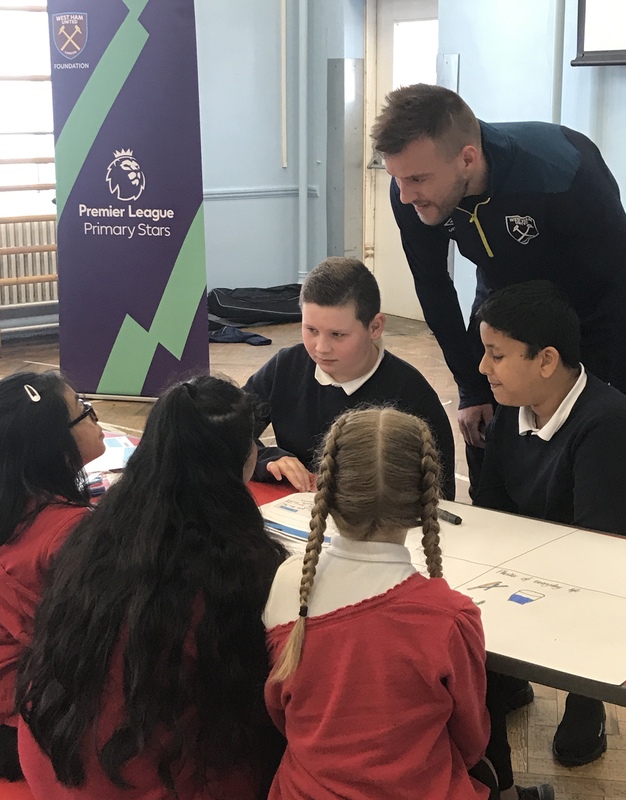 Follow the West Ham United Foundation on Twitter: https://twitter.com/WHUFoundation and you can follow Premier League Communities on Twitter too: https://twitter.com/PLCommunities. To find out more about the Basset & Gold Foundation, please visit the dedicated area of our website. Basset & Gold is proud to be selected as a co-finalist of the SME National Business Awards in the ‘FinTech Business of the Year’ category.